Equipping a military vehicle with an Allison Automatic will help meet the extreme demands placed on combat vehicles as well as service and support vehicles. We provide fully automatic transmissions suitable for both wheeled and tracked application from light service vehicles through to heavy armoured vehicles. Our transmissions incorporate many advanced technologies from decades of military design, application and production experience. Allison has a long experience working with the military beginning in World War I. After more than 60 years of continuously developing advanced transmissions and cross drives for military customers they are now global leaders. The Allison Transmission 4000 Series is designed for heavy-duty vehicles where smooth and efficient operation is a requirement. The 4000 Series provides power, control and enhanced fuel efficiency. The 4000 Series features close or wide ratio gearing with a maximum of to seven speeds, including two overdrive ratios. The 4000 Series also features a second reverse gear increasing the versatility and control options in applications requiring fine application of speed and power. 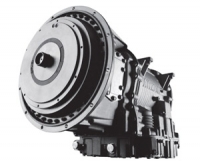 The Allison Transmission 4000 Series is rated to a maximum of 597 kW (800 hp). An optional engine-driven Power Take-Off (PTO) capability and output retarder provides enhanced braking and reduced brake wear. The Allison 4000 Series includes electronic controls designed to provide advanced operation and prognostics capabilities. 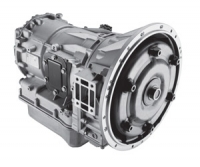 The Allison Transmission 3000 Series is suited to medium-duty commercial vehicles. Its adaptive technology is designed to operate efficiently in a variety of situations and applications making vehicles more cost efficient and easier to operate. The 3000 Series has a maximum rating of 336 kW (450 hp) and includes close or wide ratio gearing. Fifth Generation electronic controls introduce advanced operation and prognostics capabilities. The Allison Transmission 3000 Series also improves braking performance and wear through an optional output retarder. These transmissions have up to seven speeds including two overdrive as well as Power Take-Off (PTO) capabilities. 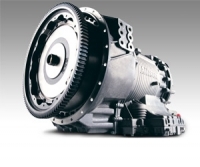 The Allison Transmission 1000 and 2000 Series is designed for light duty applications including commercial vehicles in both on-highway and public transport applications. Rated up to a maximum of 224 kW (300 hp) the Allison Transmission 1000 and 2000 Series feature a maximum of six speeds, including two overdrives. The transmissions feature both close and wide ratio gearing. Fifth Generation electronic controls introduce advanced operation and prognostics capabilities. Extra features include turbine-driven Power Take-Off (PTO) with optional neutral lock-up and a parking pawl.